Below are some of the many settlements that we have had after a Florida business establishment’s or cruise line’s carelessness caused our clients’ slip or trip and fall, or other type of accident. We have also settled many other Florida injury cases which may not be listed below. We have also written extensively about Florida slip and fall claims. Our client, slipped and fell at a supermarket in Miami, Florida. After the fall, he had 2 skin grafts on his achilles tendon. He claimed he slipped and dirty water and smudges which looked old. We settled our client’s slip and fall case for $300,000. The store denied liability. Crum & Forster insured the Miami supermarket. The supermarket’s insurer paid $300,000 to settle the case. A guest was eating at a Denny’s restaurant in North Miami Beach, Florida. While exiting the booth, it tipped up. This sent him falling to the ground. After hitting the ground, he had pain in his hand and wrist. Paramedics came to the scene. However, he refused taking an ambulance to the hospital. His case would have been worth more if an ambulance would’ve taken him to the hospital. That same night, he called Miami injury lawyer Justin “JZ” Ziegler. He asked JZ whether he should go to the hospital. Attorney JZ told him to go to the hospital if he wanted to. He went to the hospital. There, doctors diagnosed him with a wrist (scaphoid) fracture. He hired our personal injury law firm. Travelers insured the restaurant. Unfortunately, Travelers wouldn’t offer more than $20,000 to settle his personal injury claim. Therefore, we sued the restaurant. After we sued, Travelers immediately doubled its offer to $40,000. However, this was much less than the fair value of the case. We took several depositions of restaurant employees. Surprisingly, none testified that the restaurant had an issue with loose booths. The injured man had two surgeries to his wrist. Surgery increases an injury claim’s full value. About one month before trial, Travelers paid us $210,000 to settle the man’s personal injury lawsuit. See a claim where a lady got $197,500 after she slipped and fell in a hotel bathtub. She fractured her upper arm bone (humerus) and had surgery to fix it. A guest was visiting someone at a condominium in Miami-Dade County, Florida. He was walking down the stairs. While walking, he slipped and fell. He suffered a bad leg injury. 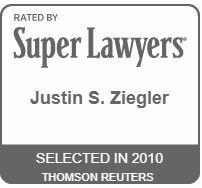 Miami injury lawyer Justin “JZ” Ziegler worked with an attorney from a different law firm on this case. JZ handled this case when he had only been practicing a couple of years or so. Our co-counsel (the other attorney) filed a lawsuit in Miami Dade County. Specifically, he sued the condo association and the property management company. We hired an expert engineer to inspect the stairs. Engineers require an up front payment to inspect the property. Thus, our co-counsel paid him about $1,500 or so. We claimed that the stairs weren’t slip resistant. We also claimed that the handrail was not safe. Attorney JZ attended the deposition (statement under oath) of the condo association. The defense attorney took our client’s deposition. The defense lawyer our engineering expert. We settled the lawsuit about a month after mediation. A guest was visiting a friend at an apartment complex. The apartment complex was located in Miami Beach. After entering the gate, she walked in the courtyard. While walking, she tripped on a curb. You can see the red curb in the photo below. I claimed that my client couldn’t see the curb. My argument was that the curb was the same color as the surrounding flooring. An ambulance took her to the hospital. At the hospital, they took an x-ray of her hip. She had an intertrochanteric femur fracture. Basically, she broke the part of her thigh bone that is close to the hip. At the hospital, an orthopedic surgeon performed surgery on her leg bone. His name was Dr. Wittles. Specifically, they put a rod and screws in her upper leg bone and hip. After they did so, an x-ray was taken. Her orthopedic surgeon was Dr. Wittels. He is a trauma surgeon at Mount Sinai medical center in Miami Beach. I met with her orthopedic surgeon to see what he thought about her future limitations. He charged $750.00 for me to meet with him in person. I paid him. Attorneys can pay for a doctor conference. If the case settles, the attorney is paid back from the settlement. The lawsuit was resolved for terms mutually agreeable to the parties. A Colombian lady was visiting her condominium that she owned in Sunny Isles. Sunny Isles is in Miami-Dade, County, Florida. While heading to the parking garage, she exited a door. This was her first time exiting through this door. Below is a photo of the door that she exited through. The door had a big step down with no warning sign. She misstepped. As a result, she fell down the stairs. She went to the hospital where she was diagnosed with a nose fracture. She also had bruising throughout her body. After reading excellent things about my law firm online, she hired me as her injury lawyer. I made a claim with the condominium association, who notified its insurance company. Why was the condominium association (or its property management company) liable? 2. To give the invitee warning of concealed perils which are known or should be known to the landowner, and which are unknown to the invite and cannot be discovered by him through the exercise of due care. Friedrich v. Fetterman and Associates, P.A., 137 So. 3d 362 (Fla. 2013). 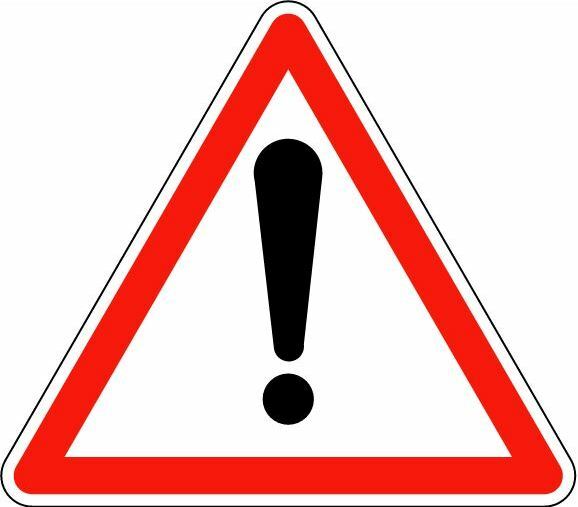 I argued to the insurance adjuster that the condominium association breached its duty to warn by not having a warning sign on the door. My client did not know that there would be a step down upon her exit. Scottsdale Insurance Company insured the condominium association with commercial general liability (CGL) insurance. Scottsdale has an excellent reputation for fairly paying Florida injury claims. The injured woman ended up having nose surgery in her home country. I paid an US translator to translate her Spanish surgery records to English. After a tough negotiation, Scottsdale paid us $73,000 to settle her personal injury claim. Scottsdale also paid its $5,000 Medical payments (Medpay) coverage limits. Since I did not file a lawsuit, I did not charge a fee on this $5,000 in medpay coverage. Some Florida attorneys charge a fee Medpay, even when they do not sue. However, it is not ethical for a lawyer to charge a fee on Medpay benefits in a Florida case if a lawsuit was not required. I do not charge a fee on Medpay benefits if I don’t have to sue to get it. In this case, this put an additional $5,000 in my client’s pocket. My client had travel insurance through Assistcard. Assistcard wouldn’t pay the hospital. Thus, we filed a consumer complaint with Florida’s Department of Insurance in order to get Assistcard to pay $2,500 to Mount Sinai Hospital. Assistcard did not ask to be paid back from her personal injury settlement. This $73,000 settlement shows the foreigners who are injured in Florida have rights. During litigation for a slip and fall victim who had injuries resulting in knee surgery. A lady was shopping in a supermarket in West Kendall (Miami, Florida). She claimed that she slipped on water. She fell. Paramedics came to the store. They took her to the emergency room at a hospital. The emergency department physician’s note stated that the patient had some loss of consciousness. Doctors diagnosed her with a concussion. Her orthopedic doctor diagnosed her with a patella fracture. The patella is the kneecap. You an see it in the image below. Knee anatomy. Patella.The doctor performed surgery on her kneecap (patella). Specifically, he performed an open reduction internal fixation (ORIF) on her patella. In his surgical report, her doctor noticed that there was a complete fracture of the patella. A complete fracture is a complete break of a bone. Basically, the bone is separated into two or more pieces. All things equal, a complete fracture is worth more than a partial fracture. Juries usually award more money pain and suffering for complete fractures. Her patella fracture was displaced. A displaced fracture is when the two ends of the broken bone are separated from one another. Juries usually award more money pain and suffering for displaced fractures. All things equal, a complete fracture is worth more than a partial fracture. There was also a tear of the retinaculim (bandlike structure that holds the patella in place). Two K-wires were placed. Staples were placed in her skin. She was placed in a knee immobilizer and spent about two (2) days in the hospital. The discharge summary from the hospital stated that she was noted to have a comminuted, distracted fracture of the patella. One of the discharge diagnoses was a possible brain concussion. The adjuster from the store suggested pre-suit mediation. He would not make an offer until the client was done treating. We filed a lawsuit. Our client was married and has several kids. The adjuster was unwilling to allow us to speak with the store’s employees who observed the client after she fell. We took the deposition of a witness (off duty employee) who arrived at the scene following the fall. Hole in grass-covered with sand next to sidewalk. A man was leaving an office where he worked. While doing so, he walked through the grass. He walked through the grass because the sidewalk ended in the grass. He claimed that he stepped in a hole in the grass. His claim was that he didn’t see the hole because it was covered with overgrown grass. Immediately after he fell, he had ankle pain. After the fall, a co-worker drove him to the doctor. He did not take a photo of the hole. Shortly after his fall, someone filled the hole with sand. A few months later, he had surgery to repair an ankle ligament tear. Chubb Insurance Company handled the claim for the building property manager and owner. Florida Insurance Guarantee Fund (FIGA) provided coverage for the landscaper’s insurance company. FIGA stepped in because the landscaper’s insurance company went broke. Chubb and FIGA denied liability. They offered nothing. Attorney Justin Ziegler sued both the property owner and the landscaper. They took our client’s deposition. Thereafter, we went to mediation. We settled for $64,900 at mediation. $58,000 of the total settlement amount was for pain and suffering. A lady went to a business establishment in Florida. While walking, she slipped and fell. After the fall, she saw algae on the floor. Paramedics treated her at the scene. However, she did not take an ambulance to the hospital. Her case would have been worth more if an ambulance would’ve taken her to the hospital. Not taking an ambulance to the hospital lowers the value of a case. Moreover, she didn’t go to a hospital the same day. Days later, she went to a hospital. I settled her case with the business establishment. I didn’t have to sue. I don’t mind suing. However, if I can settle a case for fair value without suing, it saves my client money. My attorney’s fee is lower. My client was very happy. I’ve settled many slip and fall cases. A child was at summer camp in South Florida. He fell. As a result, he injured his finger. He had surgery to fix it. I claimed that the camp was negligent by allowing him to be in an unsafe area. The bench was made of wood and had rotted and the bench seat was loose. Actual Bench from our $30,000 Settlement. An 8-year-old lived with her parents at a condominium building. It was located in Fort Lauderdale, Florida. The condominium had benches. One day, she was on bench. She claimed that the bench tipped forward. As a result, she fell. She broke her elbow. RLI (Mt. Hauley) Insurance insured the condominium association. I settled her personal injury case for $30,000. Additionally, the condo association’s insurance policy had Medpay coverage. It paid for most of her medical bills. I don’t charge an attorney’s fee on Medpay coverage unless I have to sue for it. A shopper at a store in Cape Coral (Southwest Florida) claimed that she slipped on a grape and fell. She claimed that the fall injured her soft tissue in her knee. She only went to about 3 or so medical visits. We represented the shopper. The total settlement was about $18,500. My client was a restaurant guest in South Miami, Dade County, Florida. She tripped over a landscape vinyl edging while exiting the restaurant. The actual edging is in the picture below. Vinyl landscape edge protruding onto sidewalk. The guest suffered a laceration to her cheek. It required stitches. The doctor diagnosed her with a wrist sprain. We settled the customer’s case for $18,000. Nautilus Insurance Company insured the landowner. The photo below shows Nautilus’ home office. Nautilus is a W.R. Berkley Company. Where a man was shot and killed on the premises of an apartment complex. The case was favorably settled. Justin was one of the attorneys that handled this case while working for an insurance defense firm. For a Cuban lady who fractured her heel bone (calcaneus). She tripped and fell on a misplaced container while shopping at a store. It happened in Kendall, Miami-Dade County, Florida. For a client, a woman who suffered injury when she was shopping in supermarket in Miami, Florida. She went to grab a bottle wine. It was on a cardboard box. It was improperly (negligently) stacked on other cardboard boxes. The support structure for the bottles of wine was not proper. We argued that the supermarket had a duty to properly place their items on a display which was stable. When she reached for the bottle of wine, another bottle (which was on the same piece of cardboard) fell and landed on her toe. Paramedics came to the accident scene and took her to Baptist Hospital. She was diagnosed with a broken toe at the hospital. She treated with a podiatrist (foot doctor) for several weeks/months. Her toe did not heal properly and she had surgery which was performed at Jackson Memorial Hospital in Miami, Florida. We filed a lawsuit against this supermarket. The insurance claims adjuster called us. She made an offer. The supermarket placed blame on our client for not paying better attention. We also made a loss of consortium claim for her husband. For a woman who slipped and fell on an area between the entrance and seating area near the cafeteria at a Hyatt Place hotel in Doral, Florida. The floor had been been mopped but the hotel failed to place a warning sign which was visible to the client. While the hotel apparently had a “slippery when wet” warning sign in the area, it was not visible to the client due to the fact that it was placed behind a wall. My client sustained quadriceps tears injuries which did not require surgery. My client treated for a couple of months and then stopped treating with doctors. Zurich American Insurance Company insured the hotel. (Zurich is the same company who insures Lyft cars). I sent Zurich my client’s medical records and bills. Unfortunately, Zurich denied liability. The Zurich adjuster said that the hotel did nothing wrong. Zurich did not offer any money to try to settle the claim. Zurich argued there was a sign up when my client fell. They argued that my client should have seen the water on the floor if the floor was wet. I called a witness to the incident and she agreed to sign an affidavit (notarized witness statement) stating that there was not a warning sign and that the floor was wet – near the area where my client fell. As soon as the I sent this affidavit to the insurance company, they offered $10,000. This shows the importance of getting a witness affidavit following an accident. The case settled for $18,000 from Zurich’s commercial general liability insurance and $5,000 of medical payments benefits. This was a fair settlement for a wet floor at a hotel that resulted in a torn quadriceps muscle. This is just one of the many Florida hotel injury claims that I have handled. For a young (25 year old) shopper at Publix when an employee accidentally pushed a pallet cart over our client’s pinky toe. The client’s foot bled and he went to the hospital immediately after leaving Publix. The cut required stitches and x-rays were taken, which determined that he had a fracture of his 5th metatarsal (pinky toe) which resulted in a total of around $4,000 in medical bills. Someone threw a plate in a restaurant and it cut our client’s face. It happened in Miami Beach, Dade County, Florida. Our client was a friendly, young lady. She received stitches below her eye. There was virtually no scar after the wound healed. American Empire Surplus Lines insured the restaurant. They paid the settlement. American Empire Group is part of Great America Insurance Group. A customer claimed that she slipped and fell on water on the floor. It happened in a store in Orlando, Florida. The store is part of a national chain. She fractured her navicular bone in her foot. She only had 3 or so doctor visits. Her foot healed fast. Our client, a man, was exiting a premises and slipped and fell sustaining soft tissue injuries. A claim was filed with the insurance company that insured the owner of the premises.We worked on this case with another law firm. On behalf of a woman from Indiana who slipped and fell while exiting the shower of her hotel room at the Registry in Naples, Florida. She was visiting Florida. Susan was shopping at Publix in West Kendall, Miami-Dade County, Florida. She claimed that she tripped on a rug that was extending into the aisle. She fell and was injured. Susan only suffered a bruised leg. She didn’t get medical treatment. We argued that the rug was left out in the middle of an aisle. In other words, we argued that it was improperly placed. We got our client a settlement. An individual who was injured after slipping on the premises of a property, which was adjacent to a construction site. Miami Injury Lawyer Justin Ziegler handled this claim while working for an insurance defense firm. This was before JZ exclusively began representing injured victims. We handled a case for a lady who tripped and fell on a loose brick paver at a house that she was renting. She treated with a podiatrist, and her foot was placed in a CAM walker. She had two children and it was very difficult for her to tend to their needs while having restricted movement of her foot. We alleged that either the homeowner or the person who installed the brick paver was negligent. Unfortunately, her foot had some difficulty healing. Justin was involved in a lawsuit brought by a gentleman who was beaten outside of a nightclub. The bouncers brought both parties involved in the fight outside. Sadly, injured patron had a severe traumatic brain injury. Justin handled this lawsuit while working for an insurance defense firm in 2004. This was before he started exclusively representing injured accident victims. A disco ball fell on a guest head resulting in an alleged disc herniation. Justin was one of the attorneys that handled this case while working for an insurance defense firm. This was before he started exclusively representing injured accident victims. Will an Insurance Company Give You An Advance Payment Before Your Case Settles? The odds are No. Check out interesting article that discusses whether an insurance company may make an advance payment before settlement. Did someone’s carelessness cause you to slip or trip and fall and suffer an injury in Florida, or on a cruise or boat? Were you injured in another type of accident? Check out some of the many Florida injury cases that we have settled, including but not limited to car accidents, truck accidents, slip or trip and falls, motorcycle accidents, drunk driving (DUI) accidents, pedestrian accidents, drunk driving accidents, taxi accidents, bicycle accidents, store or supermarket accidents, cruise ship accidents, dog bites and much more. Our Miami law firm represents people anywhere in Florida if someone’s carelessness caused their injuries in car accidents, truck accidents, slip, trip and falls, motorcycle accidents, bike accidents, drunk driving crashes, pedestrian accidents, cruise ship or boat accidents, store or supermarket accidents, accidents at someone else’s home, condo or apartment, accidents involving a Uber or Lyft Driver, and many other types of accidents. We want to represent you if you were injured in an accident in Florida, on a cruise ship or boat. If you live in Florida but were injured in another state we may also be able to represent you.